Code of The West Outfitters Fully-Guided Tent Camps cater to the needs of our hunters. Our camps are comfortable and horses and mules are kept in camp and used daily to access different hunting areas. One guide is provided for every two hunters. Delicious home-style meals are prepared by our professional camp cooks. Fully guided camps are limited to 6 hunters per camp. Hunts are 7 day packages (5 hunting days). Your game will be packed out from the kill site to a processing plant, as part of our service. Our guides are very knowledgeable of the area. Their goal is to provide you with a safe and successful hunt. 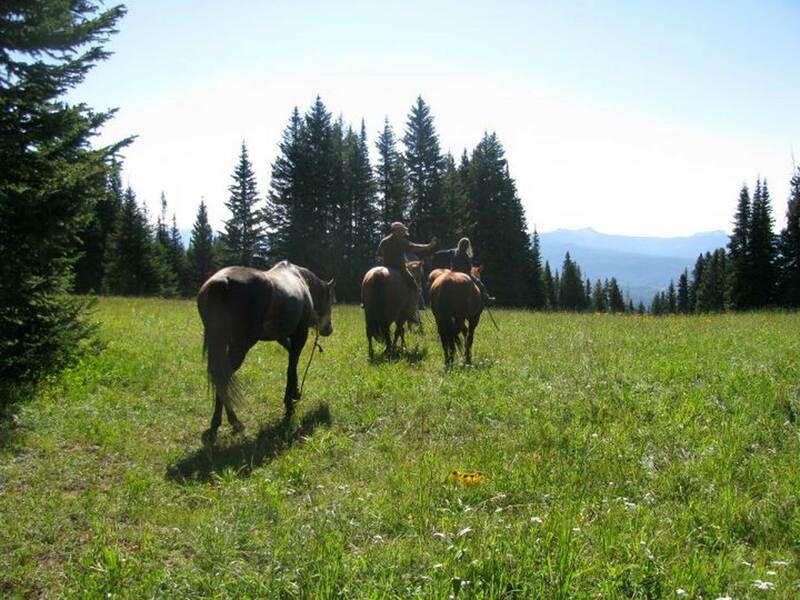 This is a first-class professional back country hunt. 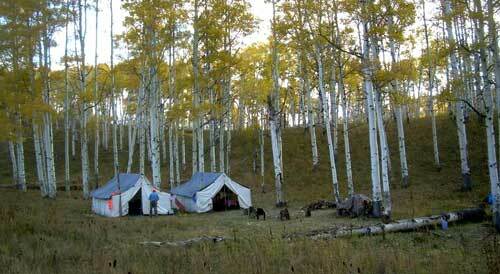 Code of The West Outfitters Drop Camps are well-equipped back country camps located in prime hunting areas. Since guides are not provided in drop camps, we highly recommend that hunters choosing this type of hunt are well versed in back county hunting. We believe you will not find a better equipped drop camp in the industry. Hunts are 7-day packages. Packing your game out from the kill site is included in our service. Camps are set up for 6 hunters with a minimum of 4. All drop camps are accessed by horse or mule only.